Most laptop owners don’t realize that their computers are capable of broadcasting their own wifi hotspots. Similar to setting up a wifi hotspot on your smartphone, a virtual router allows you to share your internet connection with other nearby devices. In this tutorial, we’ll show you how to set up a virtual router with a VPN. Once finished, you can use the virtual router to connect other devices and route their traffic through the VPN. This is especially useful for devices that don’t natively support VPN connections, such as Roku, Apple TV, Chromecast, smart TVs, game consoles, and first-generation Amazon Fire TV sticks (newer Fire TV sticks support VPN apps). The process is much easier than setting up a VPN on your physical router, which often requires the risky task of flashing new firmware onto the device. A virtual router can also be used to extend the range of a weak wifi signal. My friends and I recently used this in a hotel where the wifi didn’t extend all the way across the room. I placed my laptop in a spot where it got a better signal, then connected our phones to my laptop’s virtual router. 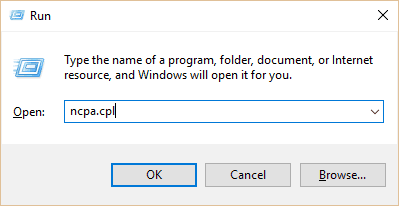 If you’re using Windows 10, you can follow the instructions in the video below. 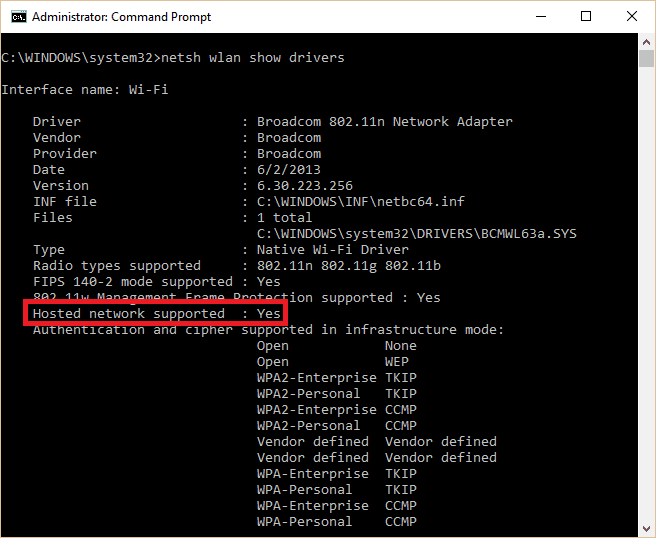 Windows 10 users do not need to use the Command Prompt to set up a VPN-protected wifi hotspot, as this features is now accessible directly from the Settings app. For older versions of Windows, keep reading. This tutorial is for Windows 10, but Windows 7 and 8 users should be able to follow along as well. 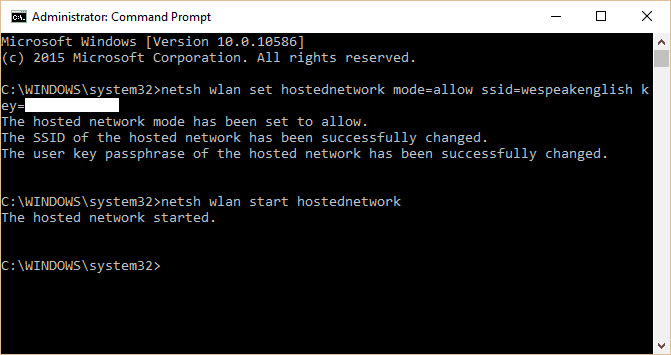 In the command prompt, type netsh wlan set hostednetwork mode=allow ssid=<MY-NETWORK> key=<MY-PASSWORD>, replacing <MY-NETWORK< and <MY-PASSWORD> with a network name and password of your choice. Press Enter. A message will appear that says the hosted network has started. If not, you need to update your network adapter drivers and try again. Next, we need to share the virtual router’s connection with other devices. 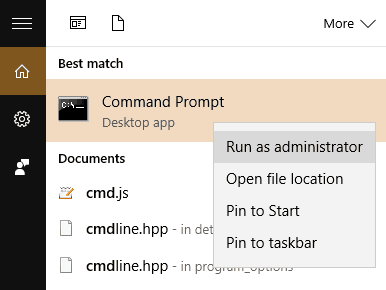 Press Windows Key+R to launch the Run prompt, type ncpa.cpl, and press Enter. A list of connections will appear. Find the one you just created. It will have the network name you input earlier. Memorize or write down the name of this connection. 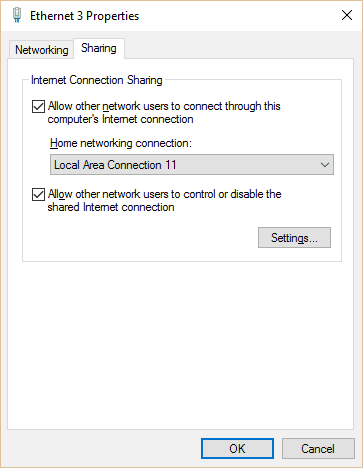 Click the Sharing tab at the top and check the box to Allow other network users to connect through this computer’s Internet connection. Under Home network connection, click the dropdown and select the name of the network you created earlier. 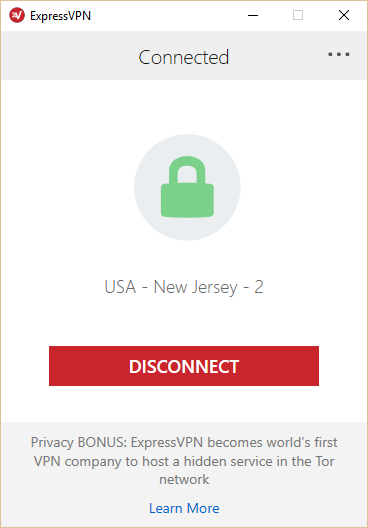 Press OK.
Open your VPN app, set the protocol to OpenVPN if necessary, and connect to a server in whatever location you wish. Using OpenVPN activates the TAP Windows Adapter. Now all that’s left to do is connect your devices to the virtual router. When you enter the wifi settings, the new network you just created should appear in the list of available wifi connections. Connect to it, enter the password that you created above, and that’s it! 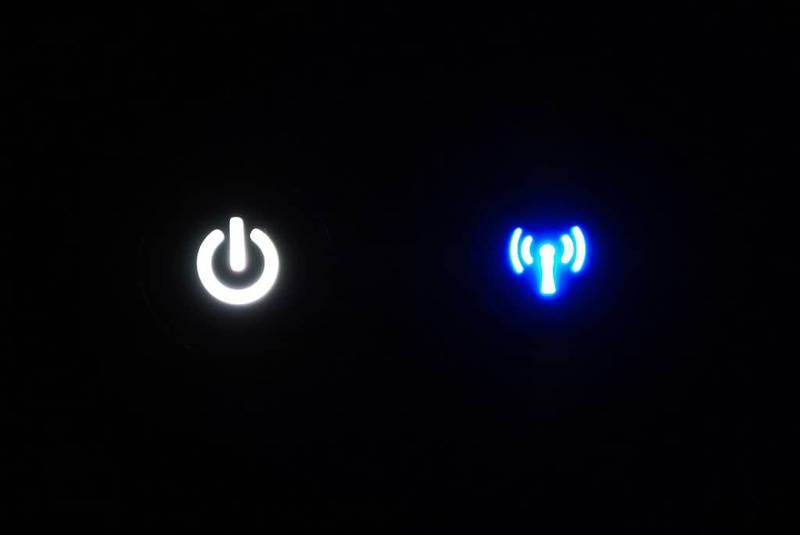 If you disconnect from the VPN, the TAP adapter will de-activate and the virtual router will stop broadcasting the wifi signal. Click the arrow next to Network Adapters to see a list of available adapters. Next, find the adapter that says TAP-Windows Adapter V9 or something similar. It might contain the name of your VPN provider instead of “Windows”. Double check that this is enabled and up-to-date by right-clicking. Select Enable if it is not enabled, and Update Driver Software to check for driver updates. If I want to purchase a game for cheaper on my games console, could I change my location to, say, Argentina using this VPN enabled virtual router? Depending on the console you might have to provide a local form of payment. Hi gregm, I believe it activates whenever you connect to the VPN using the same VPN adapter (TAP or TUN). So here is an interesting thing maybe you can shed some light on. I can use the mobile hotspot feature in Windows 10 fine (without vpn). But when I go through the command prompt to check for “Hosted Network support” it is listed as NO . . . and won’t let me continue to setup a network with vpn tunneling . . . doesn’t the fact that I can make a mobile hotspot mean I can host a network? If it says you don’t have hosted network support but still offers you the option to create a wifi hotspot, then that’s a discrepancy you might want to take up with Lenovo. Apparently all I have to do is skip the command prompt portion, share the vpn tap adapter in settings, and then turn on the wifi hotspot. . . . still says I have no hosted network support but ive confirmed that all my wireless devices on the hotspot are running through the vpn . . . don’t get it but ill take it. Paul thanks for the article but I’m confused. Windows 10 on my laptop has a super easy option to make a mobile hotspot with a click from the wifi settings. Would it not also work to simply turn on a vpn and then activate the mobile hotspot? 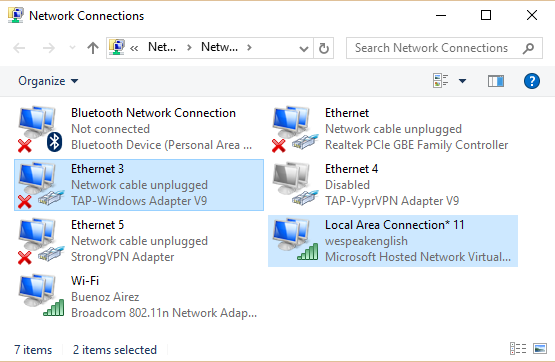 I personally have not been able to get the built-in wifi hotspot feature in Windows 10 to work reliably, and from what I’ve read I’m not the only one. Even if you got it to work, I’m not sure it would tunnel other devices’ traffic through the VPN. You need to tunnel it through the VPN adapter, not the default wifi adapter. My tutorial here works more reliably from what I can tell, and it should also work with Windows 7 and 8. It should work with any VPN connection that shows up under your list of network connections after setting it up. I’m not certain about other protocols but it’s worth a shot if you need them. It’s fairly easy to disable the connection if you don’t want to broadcast it.